Browsing the web can often be a slow process and one in which we spend far too much time waiting for pages to load. However, there is a way that you can make it faster. Here’s what to do. The crazy thing about the internet? Despite switching from a dial-up modem, to fibre optic, sometimes web pages load just as slowly. Facebook can take 10 seconds to load and some other sites can take even longer. The reason is web page bloat. Pages have increased in size by an order of magnitude and their content has increased too. A page can consist of text, images, scripts, adverts, even video and audio. Despite having super fast internet connections that work at the speed of light, pages take as long to load as they did 10 years ago. Internet congestion caused by the sheer number of people online is another factor. It is said that Netflix is the biggest user of bandwidth on the internet. One seventh of all internet activity is people watching Netflix. If everyone on your street is watching online video, it can impact your web browsing speed. Web page bloat and increasing internet congestion can cause even your fibre optic broadband connection to slow to a crawl. Testing the speed of the internet sounds easy and there are many online tools that make it appear to be easy, but the situation is more complicated than it might seem. Speedtest.net is a popular tool to measure your internet connection. 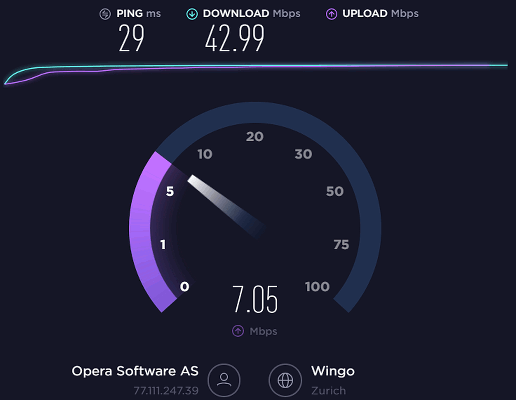 Just visit the site in a browser, click a button and it measures the ping (speed of response), download and upload speeds. Don’t worry about the upload speed being a fraction of the upload speed. This is by design and we spend much more time online downloading web pages, files, videos and audio than uploading it, so the speed is biased towards downloading. The way that the internet works makes downloading one big file much faster than lots of small files. This means that downloads can be amazingly quick, yet browsing the web is very slow. It also means that a speed test like the one above does not apply to web browsing. A web page may consist of 100 items or more, such as HTML and text, images, numerous scripts, adverts, video, and more. Much time is wasted getting all these tiny files that make up a web page. You may be surprised to discover that one way to speed up the internet is by using a VPN. This is normally thought of as a utility for increasing security and privacy when online, and it does do this, but in addition to this, it can speed up the internet. Ignore speed tools like speedtest.net because they measure bandwidth, not web browsing speed. The best way to measure the speed is to open a bunch of tabs with different websites on and see how long it takes for them all to load. Here’s how to perform a simple web speed test yourself. Show the bookmarks toolbar in Chrome for example, right click on it and create a new folder called Test. Visit some websites and drag the URL to the test folder to bookmark them. Choose complex websites with lots of content rather than simple ones with mostly text like Wikipedia. Now you can right click the folder on the bookmarks toolbar and select Open All. All the sites open in new tabs simultaneously. Chrome spins the icon on the tab to show a page is downloading and replaces it with a static icon when loading is complete. You just time how long it takes for all the tab icons to stop spinning. The times vary because web pages are not always the same every time they are displayed. Sometimes there is a bit of randomness built into the ads, so different ads can be displayed, which affects the speed of loading. The browser’s cache was emptied after each test. With no VPN, the eight browser tabs took around a minute to load, varying slightly each time. Opera, which is based on Chrome, was used for the test and this is useful because it has a built in VPN. 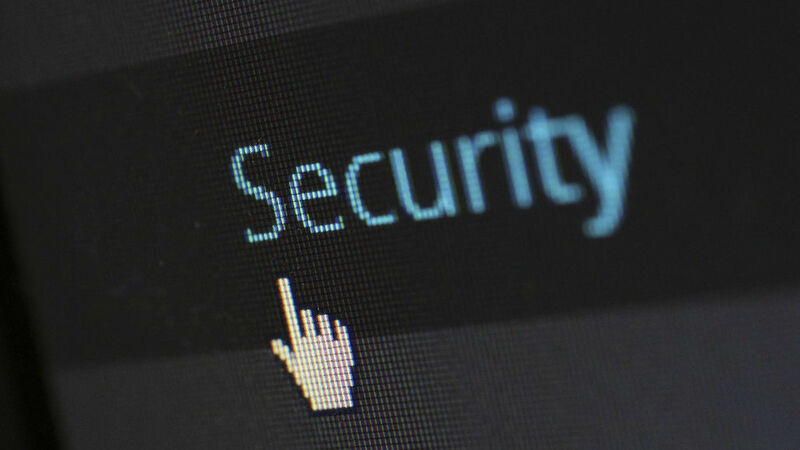 This enables us to see the difference that a free VPN makes to web browsing. The result of enabling Opera’s free VPN was to double the time taken for the eight tabs to load. In fact, some tab icons sometimes kept spinning, indicating that they were still loading. It took around two minutes for three tabs to load and after two and a half minutes, seven of the eight tabs had loaded. Browsing with Opera free VPN is twice as slow as normal browsing. When NordVPN was enabled, the load times for the eight tabs dropped to 16 to 17 seconds. Once or twice it went over this, but mostly it was three to four times faster than without a VP and an order of magnitude faster than Opera free VPN. 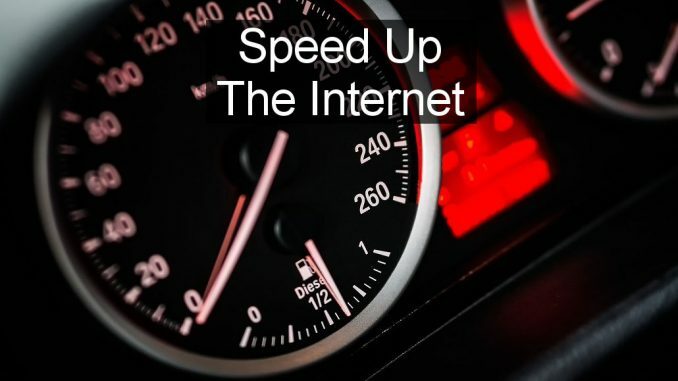 The speed increase is surprising and it makes browsing the web easier and faster. Even if you are browsing the web from home and don’t need the extra security or privacy of a VPN, you surely need the speed. And many more… They are all available for Windows PC, Apple Mac, iPhone, and Android phones. One account lets you connect all your devices. Tip: Don’t pay monthly for a VPN. You will get a much cheaper deal if you pay for a 1 year deal and it works out even less if you get a longer deal. Free VPNs like the one built into Opera may sound attractive, but it slows down web browsing. It depends on the time of day, but at peak periods it can take minutes to load web pages. 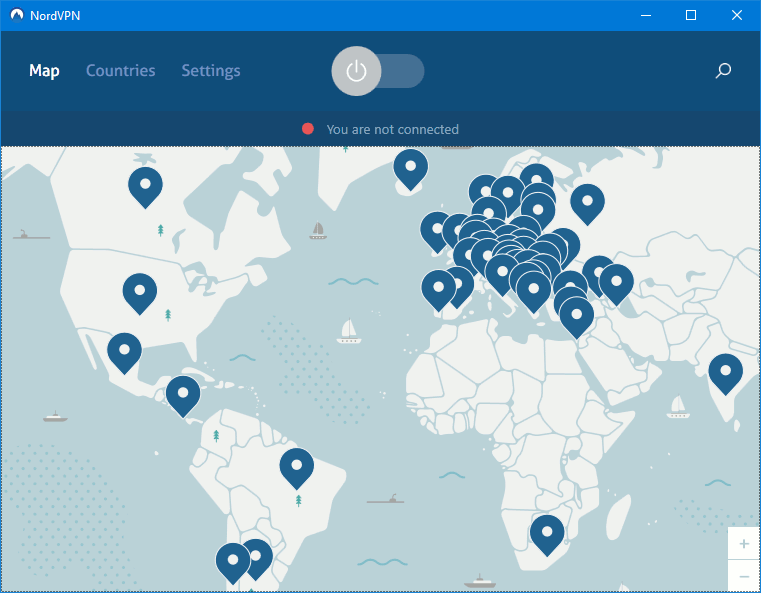 A paid VPN like NordVPN offers extra speed and provides a nice boost to web browsing performance. I think you make a brilliant point by saying that people shouldn’t go for a free vpn. There’s plenty cheap but reliable options. I personally use NordVPN as after doing my research I found it to be best price and quality ratio. I tried a few different providers, but I noticed that NordVPN runs faster than others and it doesn’t have any impact on internet speed, also they are recommended as a fastest vpn this year. However, I traveled to Asia a lot, so I would like a little bit more servers there, but I am still quite happy using it. VPNs, I tried free versions, slow down page loading on Chrome. But just using Edge browser, without VPN, but an extension ‘ghostry’ loads pretty fast and blocks all trackers. That works for me on windows 10 Dell. Free VPNs can be very slow and are best avoided. I think NordVPN gets its speed by doing a similar job to Ghostery – blocking ads and trackers. However, it works across all browsers without installing extensions.